Loft is having a 30% off sale for its Fall 2011 collection. No code required, but sale ends October 23, 2011. If you are spending $75 minimum, get an additional $20% off with this online coupon code: LOVELOFT20G. Code expires November 2, 2011. 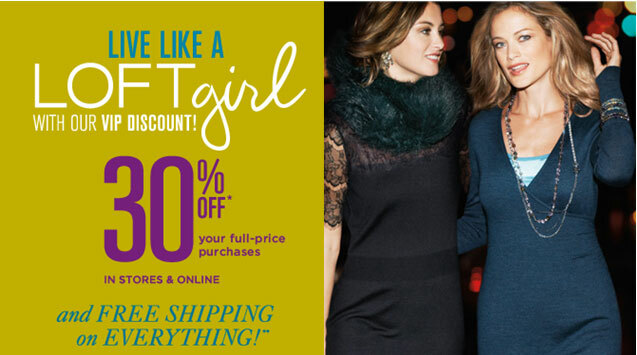 If you are spending $100 and up, get an additional 25% off with this online coupon code: LOVELOFT25G. Code expires November 2, 2011.